This game is effectively a dead rubber with both teams having been eliminated from the playoff race. 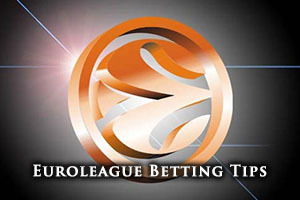 As this is the final Euroleague home game of the season for the Lithuanian champions, you would expect them to be keen to go out on a high but Belgrade will want to finish the season off as best as they can. In games like this when the pressure is off, there will hopefully be an opportunity to see some flowing basketball and a bit more freedom from players. It may not pan out in this manner but this game does have the potential to be a fun-filled game. Both teams have a 9-13 record in the Euroleague this season, although there is a slight difference in how it has been achieved. Zalgiris grabbed a 5-5 record in the regular season while their Top 16 record stands at 4-8. Belgrade had a 6-4 record in the regular season and hold a 3-9 record in the op 16 so far. For average points scored, the Belgrade side lead by 75.9 to 70.9. James Anderson has been the star man for Kaunas on many occasions this season and it wouldn’t be a surprise to see him lead from the front in this one. Anderson has grabbed an average of 14.6 points per game this season and he will want to impress the home fans one more time in Europe this season. Paulius Jankunas has offered up an average of 6.6 rebounds per game this season and Lukas Lekavicius has provided an average of 2.8 assists per game this season for the home team. Boban Marjanovic will be returning to Zalgiris and he will be returning with his stock high and his head held higher. He is the leading player in the Euroleague for rebounding and performance index rating. He is the leading point scorer for Belgrade with an average of 16.9 points per game and he has served up an average of 10.4 rebounds per game this season. It is not all about Boban though as Marcus Williams has served up an impressive 6.1 assists per game this season. Zalgiris are currently in second place in the Lithuanian league, their 28-4 record being one win behind Lietuvos. The most recent domestic game for Kaunas was a 74-112 away win against Nevezis. With a 24-2 record, Belgrade are clear at the top of the Adriatic League and look in good shape to clinch that title. Their most recent game in the Adriatic league was a 107-83 win over KK Mega Leks. 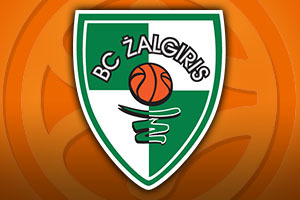 Taking Zalgiris with a -4 handicap, at odds of 1.90, should be a sound bet for this game on Friday night. For the Over/Under market, going OVER 151.5 at odds of 1.90, is likely to be a sound bet for most people. Bet Now!